Some of my posts have prerequisites. I walk home thinking I should definitely blog about that cool (honestly) troubleshooting session and realize that some previous posts to describe tool needed are missing. Process Explorer is tool so powerful and so important that it was hindering a lot of posts. with precise history of recent system load. Processes are presented in tree view by default. That makes easier to understand order in which they were launched and turns executable-intensive tasks like installing software in quite a show. Clicking performance graphs shows separate window with bigger version of those and plenty of performance-related information. Default view may not seem like much but there are a lot of additional columns available. Depending on task at hand Process Explorer can be used to show anything from developer information embedded in executable to per-process CPU graphs. Double-clicking any process gives one more window with application-specific load graphs, network connections and plenty of other info. 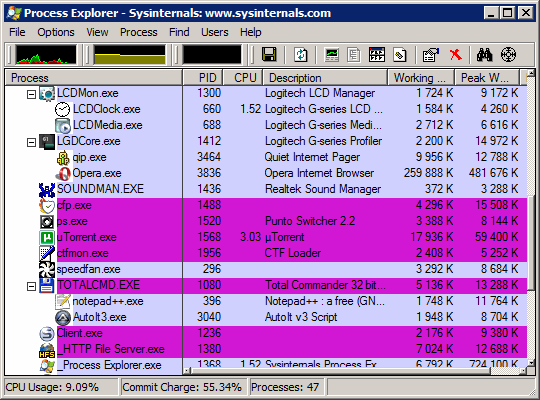 Excellent (as usual) freeware utility from Sysinternals . Writes some settings to registry so not completely portable but works without installation . Can be easily set to replace Windows Task Manager in options. Closer to techie toy and resource hungry… But it’s best in it’s class. I can imagine that this will chew up the resources. It could be a nice toy. I will give it a look a bit later. 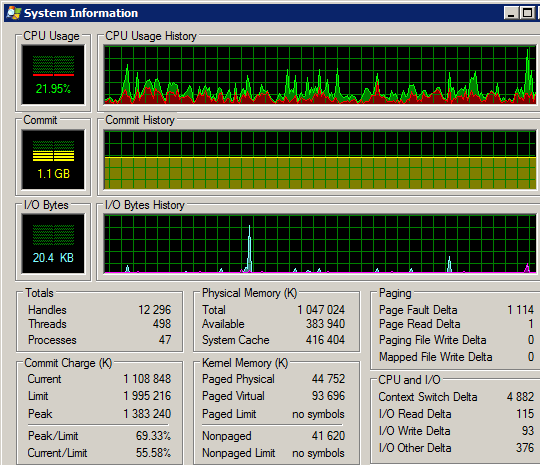 Firefox is freezing up on me so much since the last Firefox update that I get to see the Task Manager quite often. This could make for a nice change. Thanks for the info. And anyway I hadn’t seen a better one, some task manager are more focused on security or other but Process Explorere is best general-purpose one. I have used it before but stopped now a days. Let me start using it again. I use it a lot, one of the starting points to troubleshooting stuff. Tree view and viewing original command lines commands are especially useful.